By Agus in Internet. Updated on November 2, 2017 . A chatbot can function in many different ways. Depending on its type, a chatbot can talk to you or provide customer service, tell you what the current weather, and even contest parking tickets (successfully). For businesses, chatbots could respond to a customer’s question and help you do your job. The question now is where do you get or how do you create a chatbot? Well, these are the chatbot creator apps out there you can try. Most of them don’t require programming knowledge to use. If you have a business page on Facebook, you might want to consider Chatfuel, a chatbot creator for Facebook Messenger and Telegram. Chatfuel will guide you step by step in making your own chatbot, without any coding needed. You can edit a response as well as add content with simple hyperlinks. If you have a hotel page, for example, the chatbot will list the rooms available on any customer-requested date. 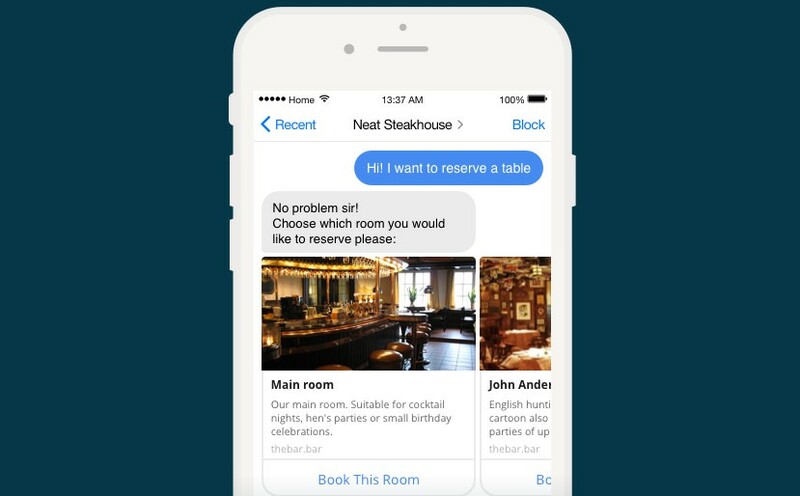 With Chatfuel, you can also create navigation steps that guide customers through the room reservation process in a user-friendly way. Botsify is a chatbot creator that is also designed for Facebook users as well. 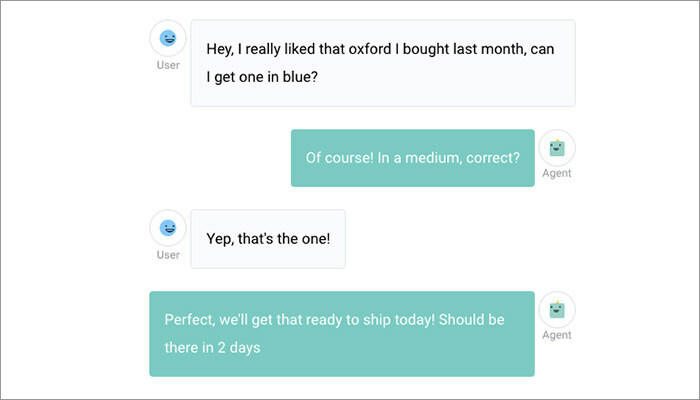 To use Botsify, you only need to visit botsify.com, integrate your Facebook account, setup a webhook, write commands for the chatbot, and let it carry out the customer service for you. Note that integration is limited to the paid plans. However, for the free plan, you can create an unlimited number of chatbots. Botsify allows you to list your services, and display them as navigation. You can also add images to make conversations and transactions easier to follow, therefore provide your customers with a better quality service. 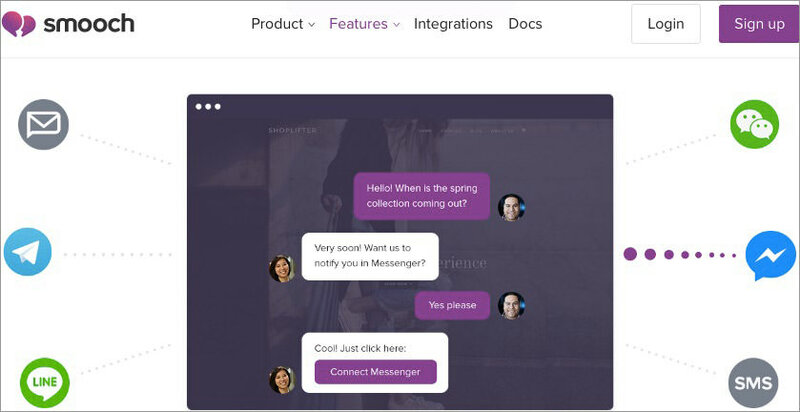 Smooch is a connector or bridge between your business apps (Slack, Help Scout, Front, Zendesk, and others) and messaging apps (Line, Facebook Messenger, Kik, WeChat, and others). Smooch allows one of your business apps to get all the incoming chat notifications from the messaging apps. This way, you and your team can answer every chat question coming from your customers without moving away from the business app you use. With Chatbot connectors you can create a bot and connect it with the messaging channels you use. The result? The bot will respond to customer chat so you can easily automate common workflows, such as collecting form data, scheduling, performing checkout processes, and giving feedback. Facebook has its own platform that lets you create a bot via their official page. It is however a bit more advanced than the other chatbot creators on this list, and you have to set up some functions yourself. You need to setup a few tools before you can create your bot: the Messenger plugin, Messenger codes and links, customer matching, structured templates, as well as a Welcome screen. The good news is there is a complete guide for designing the chatbot for your needs. You can also refer to case studies about Facebook Messenger bots that already exist, such as the ones by CNN (news) and Poncho (weather). 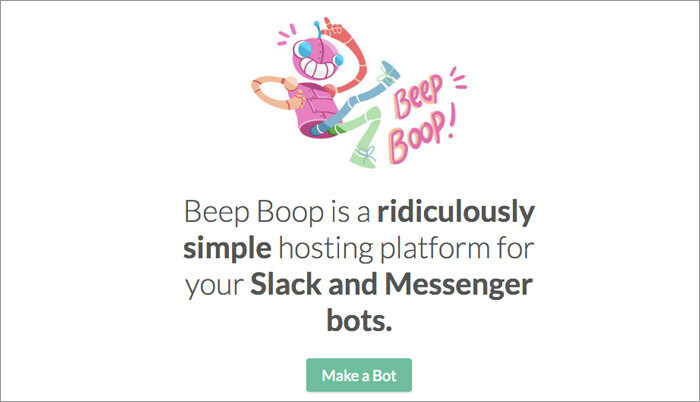 Beep Boop is a paid hosting platform to developers who intend to create a chatbot for Facebook Messenger or Slack. Set up the source code of your bot on Github, then launch it on Beep Boop and integrate it with either Messenger or Slack. Slackbots created with Beep Boop can be connected to Slack using the Real Time Messaging API allowing your Slackbot to respond to chats. The same rule applies to Messenger bots that use the Messenger Send/Receive API. The bot here can be used on Facebook business pages where it can interact with customers via real-time chat, answer their questions, and guide them through transactions. API.ai is a powerful tool to create a conversational Messenger bot. You can embed advanced context, dialog management support and fulfillment into your Facebook Messenger Bot. 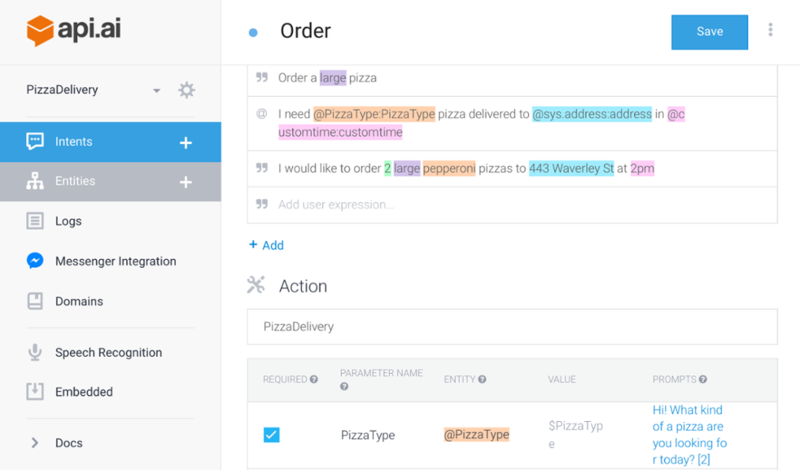 API.ai is designed to make things easier for both developers or non-developers. It’s only a three-step process to build a smart Facebook Messenger Bot. First you will need to create an agent, then provide a few textual examples of how people may talk to your bot. After this, API.ai performs the most important task in the bot creation process, it "trains" the bot for you. After the training is done, you just need to connect your bot and launch it. One of its best and newest features found in Telegram is that chatbots can run inside the messenger app itself. Telegram open-sourced the code of their chatbot, as well as the Telegram API, and they even have a Bot API and platform for third-party developers to create bots. Bots created with Telegram’s Bot API can perform many things, such as send customized notifications and news, reminders or alert messages, they can be integrated with other services such as Github or Youtube, or can even be used to build games such as a chess bot. Botkit is a toolkit for making bots for Facebook Messenger, Slack, Twilio IP Messaging, and other messaging platforms. What makes Botkit different from other bot-creators is that it provides a semantic interface to send and receive messages so that developers can focus on creating their applications instead of dealing with API endpoints. Bots made with Botkit have a few key capabilities that can be used to create a clever, conversational application. These capabilities map the way real humans talk to each other by listening, saying and replying. With these core actions, almost any type of conversation can be generated. 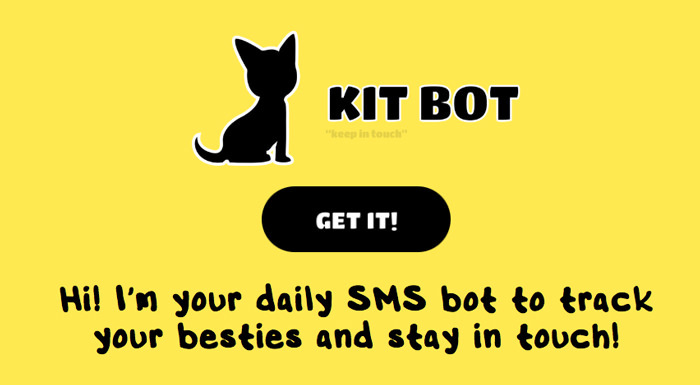 Kit Bot is actually an SMS chatbot which " takes care" of your human relationships by asking questions about your daily activities with your friends, and reminding you about the people you haven’t seen for a while. It’s quite simple to use the service, you only have to go to the main site, and register your phone number. Init.ai allows you to build, train, and deploy intelligent conversational apps. 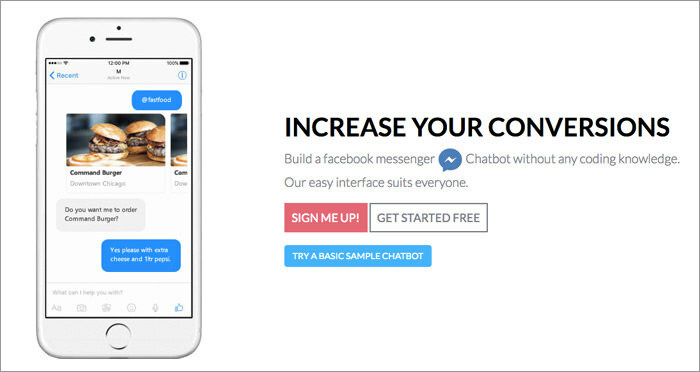 Conversational bots you create can reach customers via Facebook Messenger, your website, or even SMS. It offers you a powerful natural language understanding & machine learning system that can break apart sentence structure and analyze the context of a conversation. The thing is, it hasn’t been launched yet – join their waiting list here.